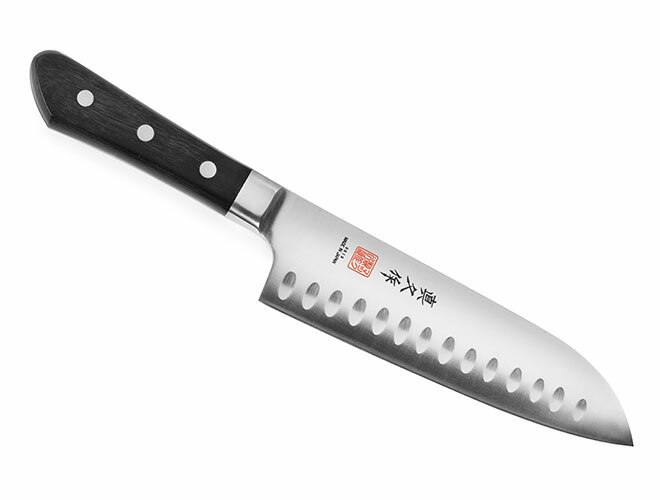 The Mac Professional Hollow Edge Santoku Knife glides through almost any food with ease. Perfect for fruits, vegetables, meats, and fish. 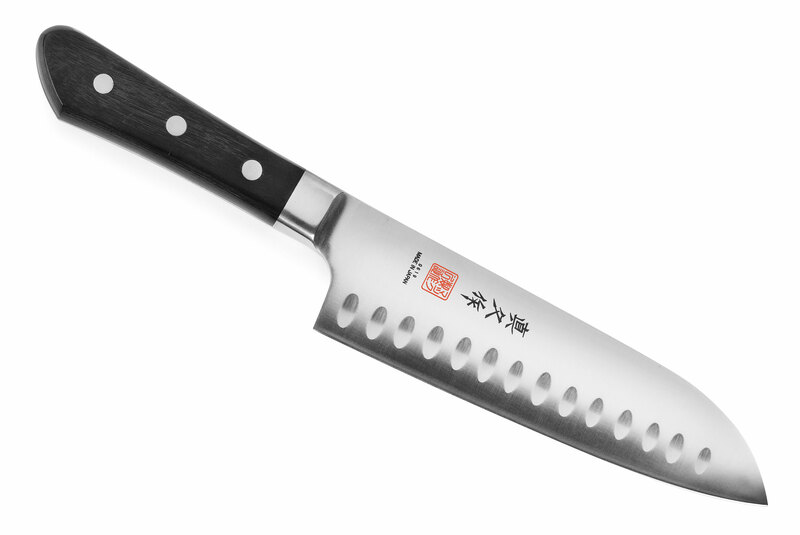 This knife also features our sub-zero tempered steel which retains its edge better than Mac's original steel. The weight of the bolster in combination with the blade makes this extremely well balanced in the center of your hand. Cut through most foods using minimal effort. Made in Japan with a 25-year warranty.